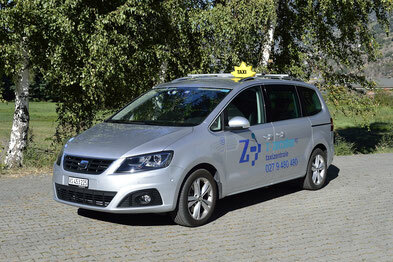 We transport you tiwht our modern taxi and minibus to your desire final destination. 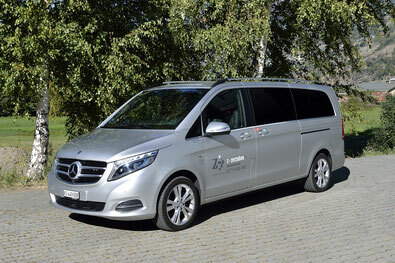 Do you want to plan a trip abroad and you need a modern minibus and competent chauffeur? We are your contact. We transport you by our modern minibusses where ever you want. You would like to make an excursion with your walking-handicapped friends, do have, however, no vehicle with wheel chair facilities? Our especially equipped minibus is spacious and comfortable. 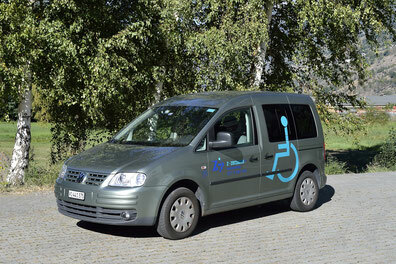 The air-conditioned vehicle caters place for 1 passenger in the wheel chair and 3 companions. Do you live outside a village and your child has to go on time to school? We transport the students to the desired schoolhouse. Enjoy and relax while driving in a luxurious limousine of the superclass. 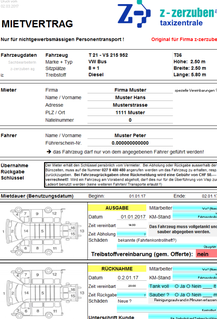 Do you want to drive a minibus yourself or be independent from a chauffeur? 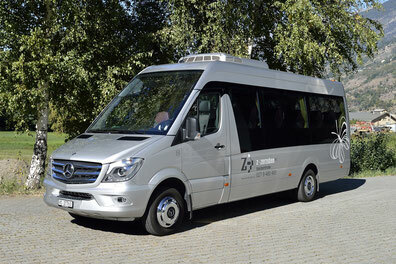 We offer modern minibuses for hire, which you can rent at any time on favorable terms. An important package should arrive urgently today at the Receiver? Our delivery service does this for you quickly and reliably. You would like to give Flowers to a dear Person once again? No, Problem, we'll do it for you. Order the Flowers at "Le Ballon" in Visp (+47 27 946 22 89) and we will deliver the Flowers. You are at home and still need something urgently? Call us and we will get it for you. In cooperation with Swissconnect we offer to you a Swiss-wide express train courier service.